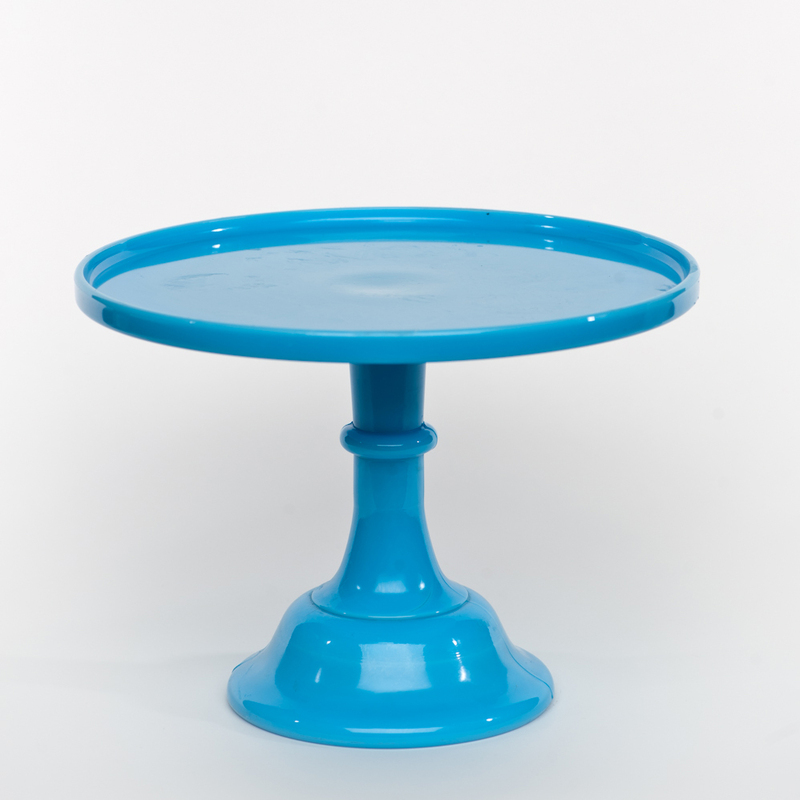 I have my own collection of both new and vintage cake stands, and choosing which one to display my latest creation is almost as much fun as the creation itself. It changes everything about what sits atop it. 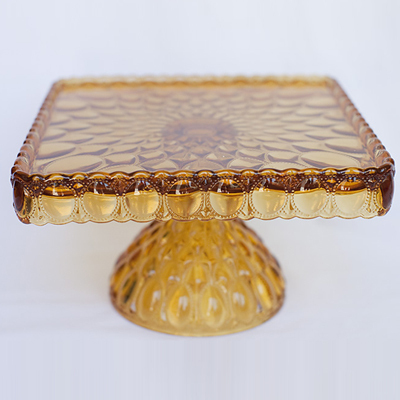 Placing a sparkling white cake on the amber cake stand above states vintage and classic. Placed on the black stand states modern, contemporary, and fresh. Last summer while visiting my sister in Colorado, we went to an open air market called The French Nest. It was a lovely mix of artisan, vintage, collectibles and antiques, and oh so fun! I found several new bits of inspiration and ideas for fun gifts! 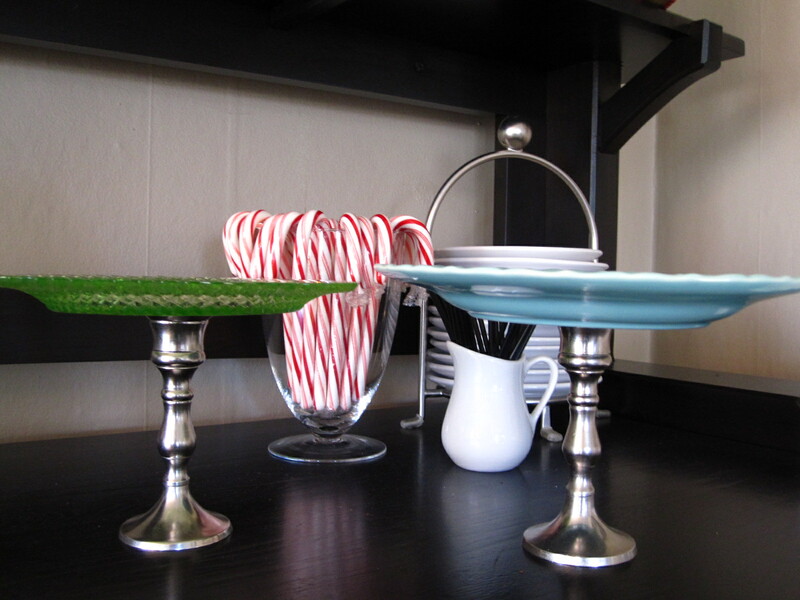 My favorite was the idea of making your own dessert plates. So simple! 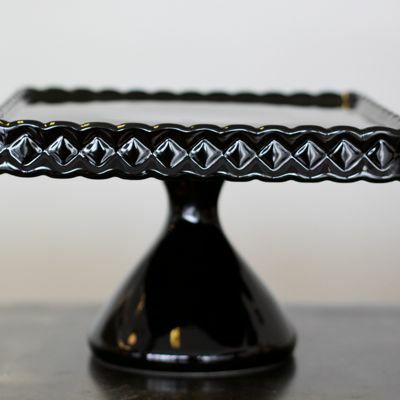 Find a 6-8 inch plate and a candlestick that you love and glue them together! I used clear gorilla glue to bond them because it’s super strong. I found this pretty green plate at a thrift store here in town for $1.00 and the candlestick is from World Market for $4.00. 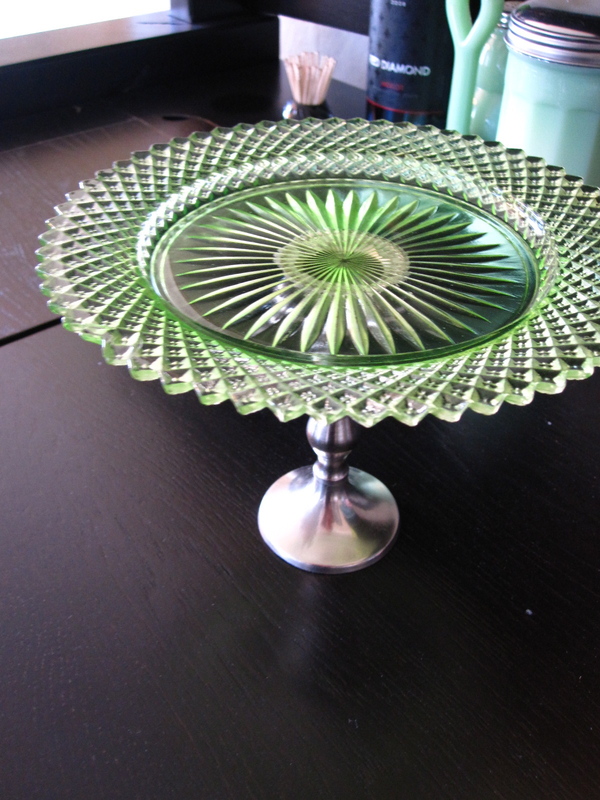 This stylish plate came from an antique store and was a little bit more than I normally would spend for something like this. But once I saw it, I had to have it. 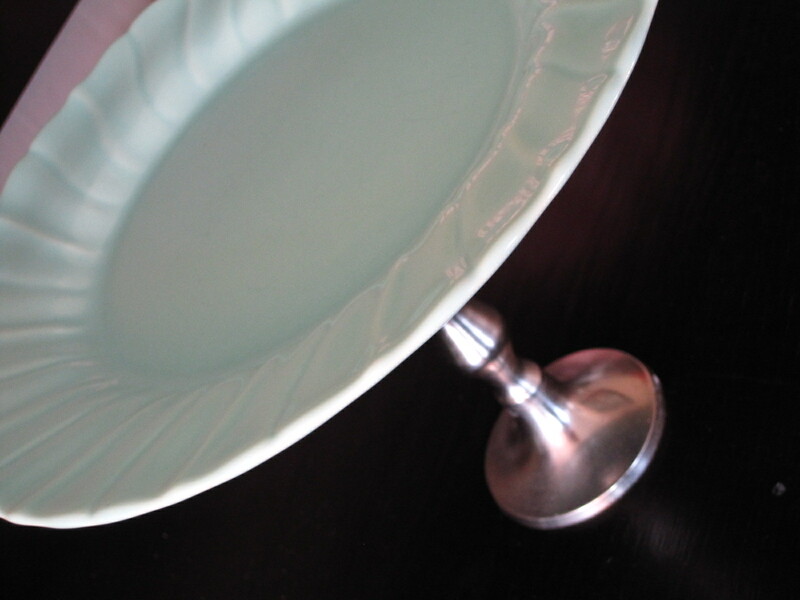 It’s the most beautiful color of aqua blue, and it’s a permanent fixture on our bar. These make such a thoughtful gift for someone who loves entertaining or baking! For the love of pretty display…enjoy making these sweet gifts! Failure is a clever thing. At its core lies some of the most adverse feelings a person can experience, and yet it drives us toward accomplishment. Clever little idea. Even though I hate to admit it, I fail a lot. It comes with trying new recipes. Not every recipe is going to turn out the way you like. And sometimes outside circumstances don’t allow a great recipe to turn out the way it should. I can’t tell you how many times I’ve heard Aaron’s Grandma Wilson say that her divinity didn’t turn out because of the weather in Salem that particular day. 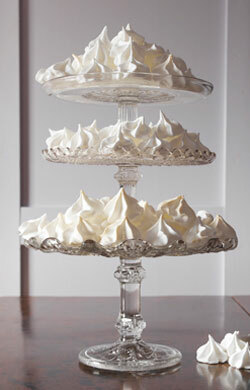 There are so many factors involved when it comes to a success or a failure in baking. But when you are left staring at a complete failure after spending loads of time on it, it’s hard to maintain an optimistic attitude about possible future achievements. And in some cases you can make a family recipe that you’ve made a hundred and fourteen times with extreme success, and on the one hundred and fifteenth time…it fails. It’s completely annoying. 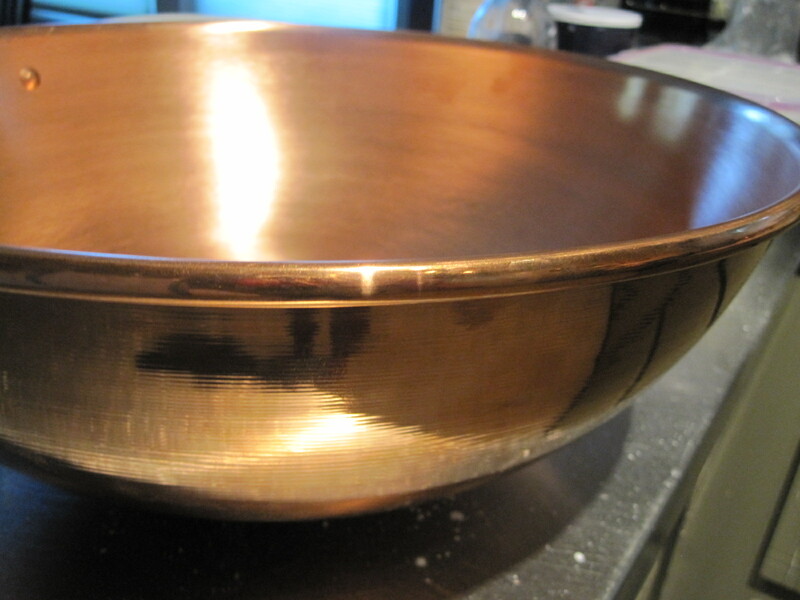 It all started with this awesome copper bowl that my mother-in-law so thoughtfully bought me for my birthday. I’ve been wanting one for about two years because expert bakers say that when beating egg whites the reaction between the copper and the whites generates a much more stable foam, with one-third more volume than you get in a standard bowl. Sweet! So far so good! 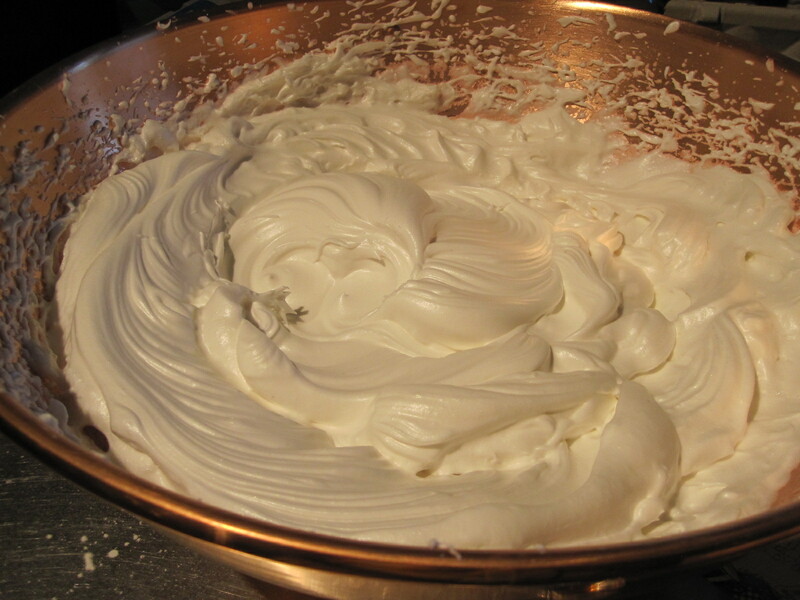 This is the largest size copper bowl available and it was nearly overflowing with whipped egg whites from only 12 eggs! I was so excited! Everything looked completely normal up to the point of putting it in the oven. It smelled divine and baked wonderfully. I took it out and immediately inverted it just like I always do. And this made me real mad. I had every intention of bringing this cake with fresh Oregon strawberries and freshly whipped cream to a dinner party. 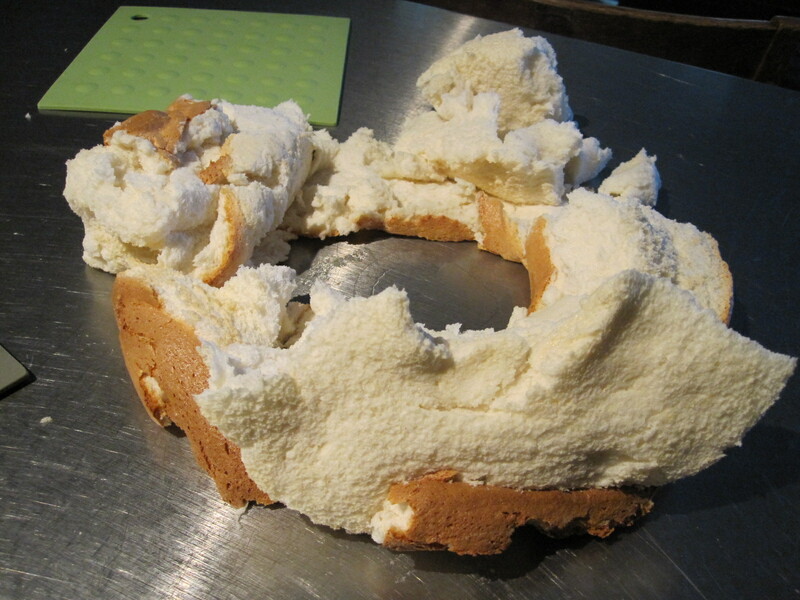 Instead they got Safeway angel food cake. I have no idea why it happened. But I am bound and determined to figure out that expensive copper bowl, and when I do, you’ll know. 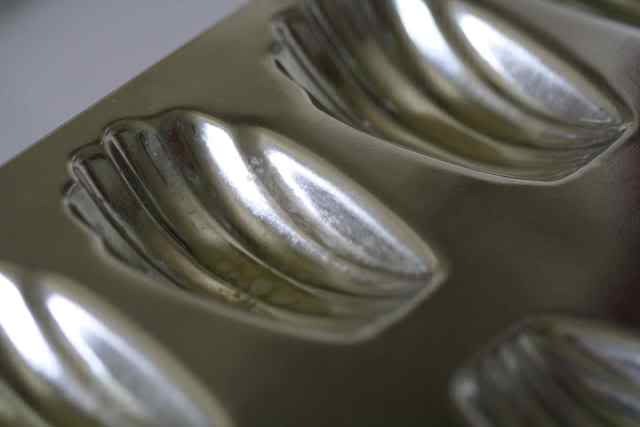 The madeleine pan. Madeleines are small tea cakes in the shape of a shell that originated in France. The great thing about them is that besides this beautiful pan, they require no other special tools to make. I have been dying to try making these since last year, and my mother-in-law was so thoughtful to have given me this beautiful pan for Christmas! I was so excited to add it to my collection! I plan on making them very, very soon. Aside from the fact that I imagine these little cakes practically melt in your mouth, while researching the famous tea cakes I came across something that just may be my favorite thing about them, before even tasting them. Outside of France the madeleine tea cake is most famously known for its association with involuntary memory in the Marcel Proust novel, “A la recherche du temps perdu” (A Remembrance of Things Past). The narrator in this novel experiences a sort of awakening as he eats a madeleine dipped in tea. Such description! Has any type of food ever provoked this kind of feeling in you?